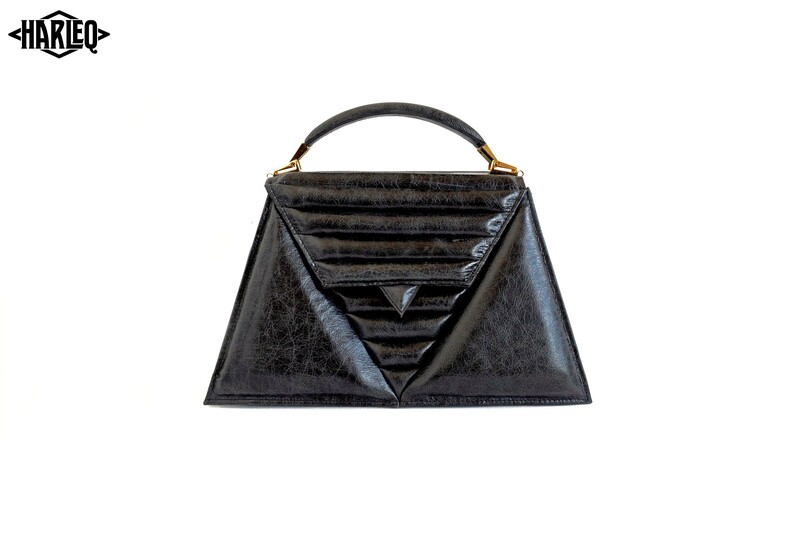 .This is the Triangles Bag. Paddings highlighting the form of a Unique Design Bag. Made Vintage handcoloured hides. 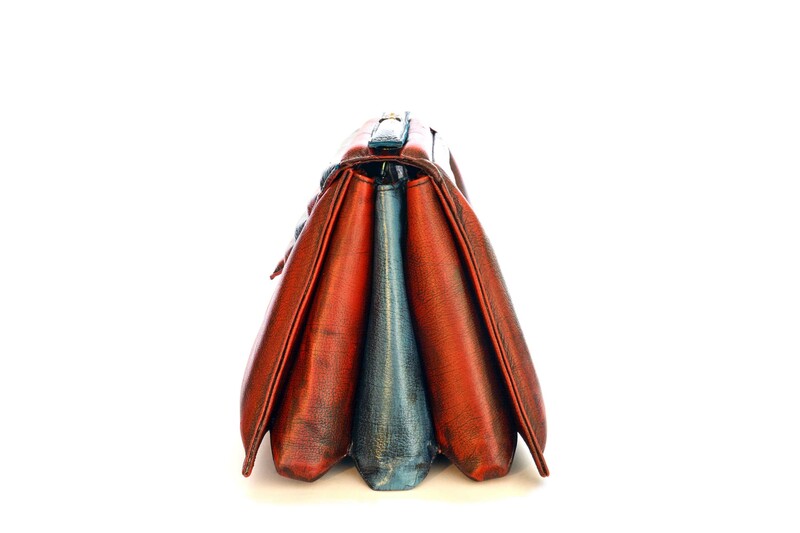 Bespoke Colors, unusual accessories, an icon Bag. 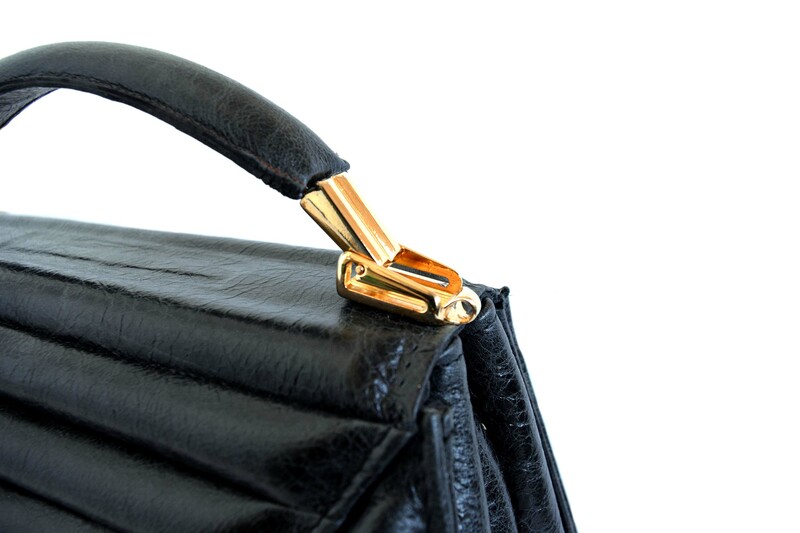 The closure mechanism is completely bespoke, covered with leather. Unique opening done by a pressure of the finger on the edge on the handle makes it lift up easly! Tha handle is linked to the bag thanks to a classy chain. Smart use of the internal space. 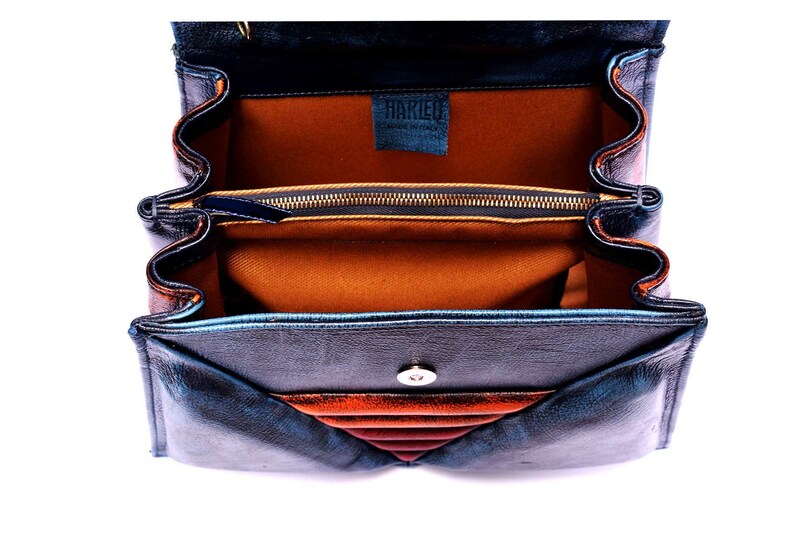 With an additional middle zip pocket everything will fit in this every-day bag. The side has an incredible design never seen before. 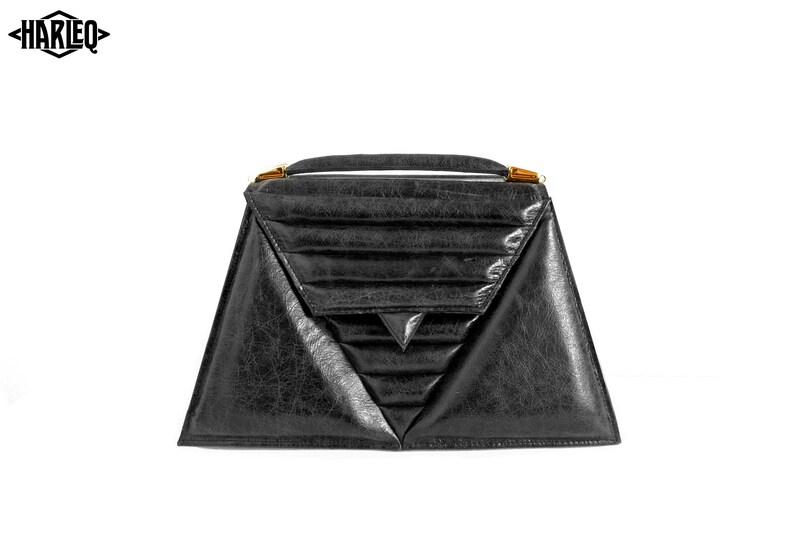 Three high finished triangle shaped leathers are sewn together highlighting the personality of this Bag.